SAFSA Central Gauteng takes pride in being able to offer figure skating in the Gauteng region over many years. It is consistent with our mission to increase the awareness, thereby building the numbers as well as the skills of this beautiful sport, so that it can be enjoyed by as many as possible. This is a well organised programme that provides basic skating skills to the public. 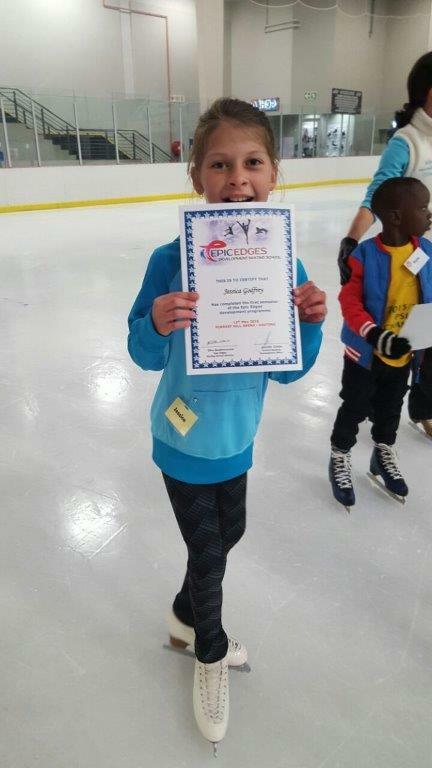 Training is given by skilled coaches, as well as Junior and senior Figure skaters who also at the same time increase their teaching skills. We need skating boots and to pay for the use of the ice rink. There are a number of qualifying, non-qualifying competitions and fun competions performed throughout the year. These demand dedicated organisational skills, time and finances. A few to mention are : Venues (ice rink payments), Judges accommodation and transport, Marketing and media presence. An international ISU judging system is followed, which requires a number of up to date computers and monitors, all this requires great finances. A Nationals skater training programme is run yearly. It is the biggest Figure skating competition in the country, the SA National Championships. To improve and advance figure skaters , who are yet to qualify or have qualified for Nationals. We need to pay for the use of the ice rink. Skaters who have consistently made the qualifying score become eligible to be selected to represent South Africa at International competitions. Help us improve the sport! Help us ignite and re-ignite the love of this beautiful sport in the hearts of young people and adults.